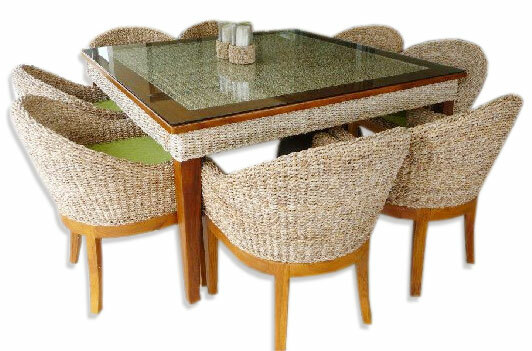 Natural Teak with a woven Banana Fibre insert, shown in the size of 1600 sq. The setting is teamed with the Panda chairs which have a cushion. This setting can be customised with colour, size and weaves. Just ask us how?